Where to Buy Dorado Fungicide, Dorado Fungicide Genric Banner Maxx II PPZ - 2 Gallon - $179.95 for Sale with Fast Free Shipping! 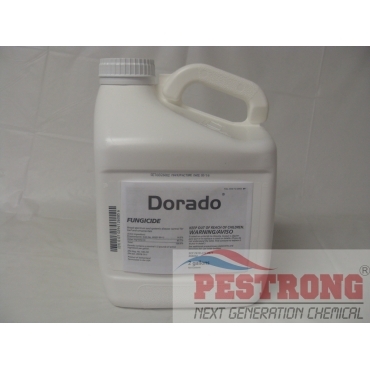 Dorado Fungicide Genric Banner Maxx II PPZ - 2 Gallon provides broad spectrum and systemic disease control of powdery mildews, rusts, leaf spots, scabs, blights for turf, ornamentals, landscape and nursery plantings. Rate : See Product Label. This is a Generic Banner Maxx II fungicide, but 2 Gallon size. Do not apply this product through any type of irrigation system or use as a tree injection. Do not apply in greenhouses.